Welcome to our newly launched Gardening Store! All items home delivered & cash on delivery! With an instruction booklet included. 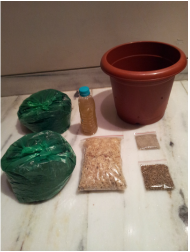 These kits can be ordered in bulk if you wish to use as a Green Gifting option for groups.